Tipard Apple TV Converter Suite is capable of acting as a pure stand-alone Apple TV converter to convert DVD and almost all popular video formats to Apple TV MP4, H.264 video formats for you to enjoy on your HDTV. It actually includes the DVD to Apple TV converter, and Apple TV Video Converter. This Apple TV Converter Suite also allows users to customize video effect with the video editor. Plus, after comprehensive upgrade, this pack has adopted NVIDIA® CUDA™ technology , AMD APP Acceleration and multi-core CPUs supporting technology, the converting performance is superior than ever before. Tipard Apple TV Converter Suite can rip and convert DVD, MPG, MPEG, MPEG2, VOB, MP4, M4V, RM, RMVB, WMV, ASF, MKV, TS, MPV, AVI, 3GP, 3G2, FLV, MPV, MOD, TOD, etc. to Apple TV MP4, H.264 video formats. Tipard Apple TV Converter Suite can take out the audio file from DVD/video and convert audio to AAC, AIFF, MP3, M4A, WAV format. 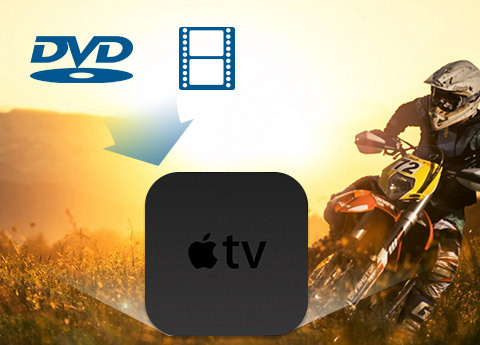 With this Apple TV Converter Suite, you can clip and convert any segment of a video, adjust the playing region of the video, add a watermark to your output video, and join your separated chapters of DVD or video files into only one file. The best user experience will impress you. 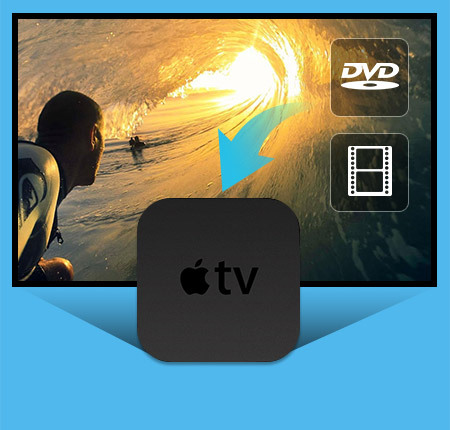 The Apple TV Converter Suite enables you to preview the source video/DVD and edited video effect. And you can capture your favorite images from the original video/DVD. You can convert one source file to different video/audio formats with only one conversion. Tipard Apple TV Converter Suite allows you to choose the audio track and subtitle for the output video. 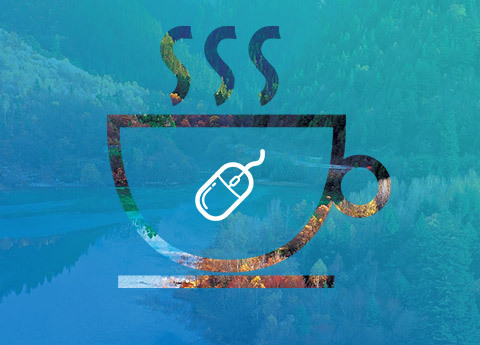 Set the Video Encoder, Resolution, Frame Rate, Video Bitrate; adjust the Audio Encoder, Sample Rate, Channels, Audio Bitrate. You also can allowed to input your own solution. The newly adopted NVIDIA® CUDA™ technology can totally accelerate your PC GPU, so as to finish your converting task with ultra-high speed and best output quality. This software pack also supports multi-core CPUs, which can take full advantage of your PC power to accelerate the converting speed. The user-friendly interface can simplify the converting and editing operations. And even beginners can finish the operation with only a few clicks. AMD APP Acceleration provides another converting acceleration choice. With NVIDIA® CUDA™ technology, the converting speed is 6X faster now. Speeding up DVD-loading to save you much time. 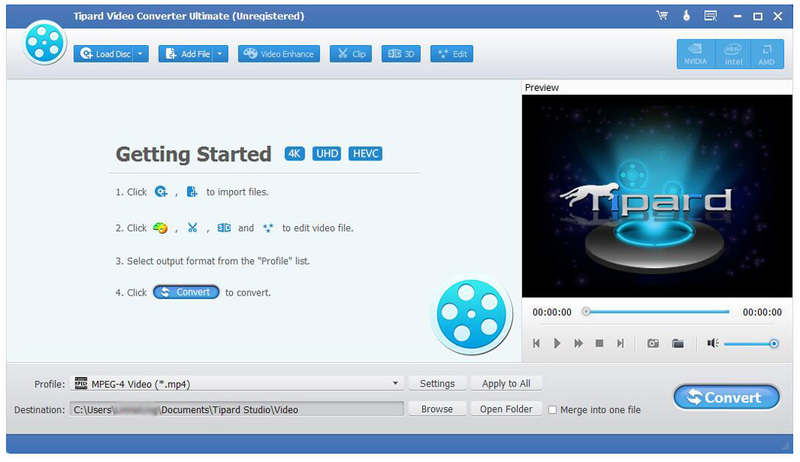 DVD Ripper to rip DVD Disc/File to any video format. iPad Video Converter to convert any video to iPad format. Convert any DVD to MP4, H.264, MPEG-4 video formats for portable devices.